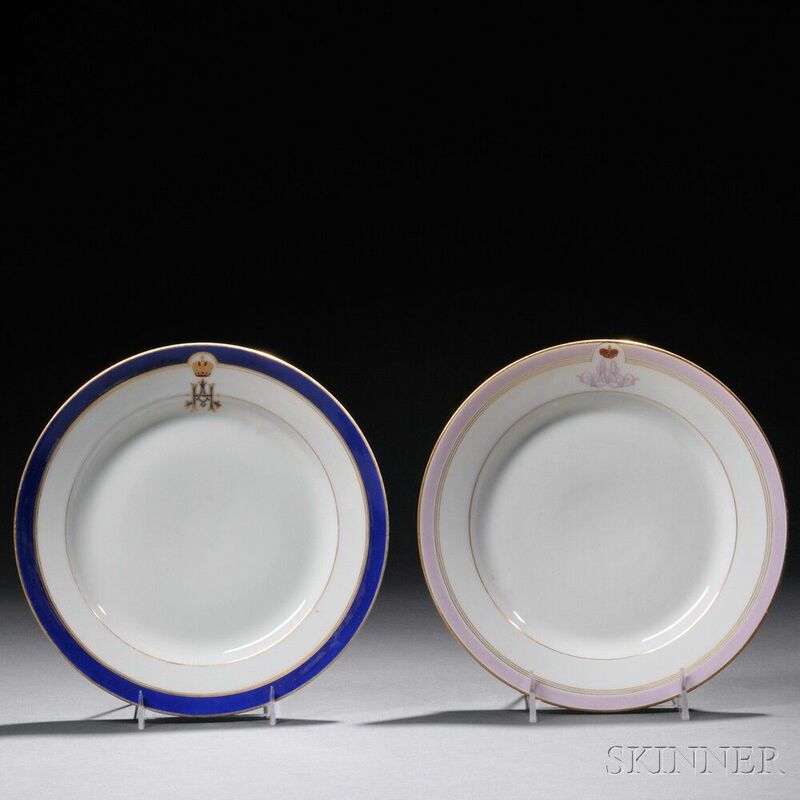 Two Russian Imperial Porcelain Factory Plates, St. Petersburg, period of Nicholas II, one 1903, with gilded bands, mauve border, and cipher for Tsarevich Alexander Alexandrovich, dia. 9 1/4; the other 1913, with gilded bands, cobalt blue border, and cipher for Tsarevich Nicholas Alexandrovich, dia. 9 1/4 in. Each with light rubbing and loss to gilt and enamel. Tsarevich Nicholas Alexandrovich plate with discolored wear to cobalt border. No chips, cracks, or repairs.